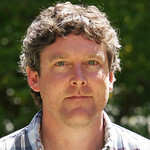 Ronan Noone is a Huntington Playwriting Fellow whose plays The Second Girl (2015), Brendan (2007), and The Athiest (2007) were produced by the Huntington. The Lepers of Baile Baiste, The Blowin of Baile Gall, The Atheist, Brendan, Little Black Dress, A Small Death, and The Compass Rose, have been produced in theatres across the United States, including Williamstown Theatre Festival and at The Culture Project in New York, and in London (Theatre 501, St James Theatre), and the Philippines. His plays are published by Samuel French, Smith and Kraus, Baker Plays, and Dramatist’s Play Service. Awards include three IRNE Awards for Best New Play, an Elliot Norton Award for Outstanding Script, and a Kennedy Center National Playwriting Award. He was recently an invited artist at the Hermitage Artist retreat in Manasota Key, Florida.